Forrás: Asia One. Szerző: Phyllcia Wang. The ink on her skin raises eyebrows wherever she goes. 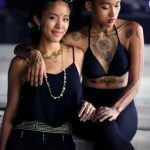 But unlike tattoos, the intricate art on Miss Nadia Rahmat’s body can be easily removed. 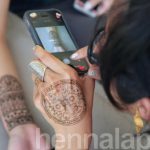 That is because the designs are inked using henna, a plant-based dye. The designer in question is her friend, henna artist Tiffany Tan, 24, who manages a Japanese art gallery. She added that the clients usually show her a picture of what they would like to have drawn. She would then incorporate her own style into the design, drawing inspiration from traditional henna designs. 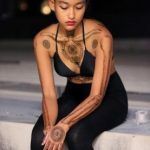 Miss Tan said that Miss Nadia encouraged her to do “crazier” designs with henna, after which she started experimenting with various other genres such as Egyptian and Wiccan art.